Scrapper is an Enemy machine in Horizon Zero Dawn. 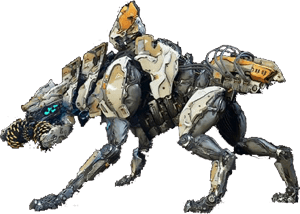 "A scavenger that can utilize its cutting maw and laser to put up a formidable defense." Radar: Destroying this component disables the scaning ability.